Happy Friday Dies R Us fans! 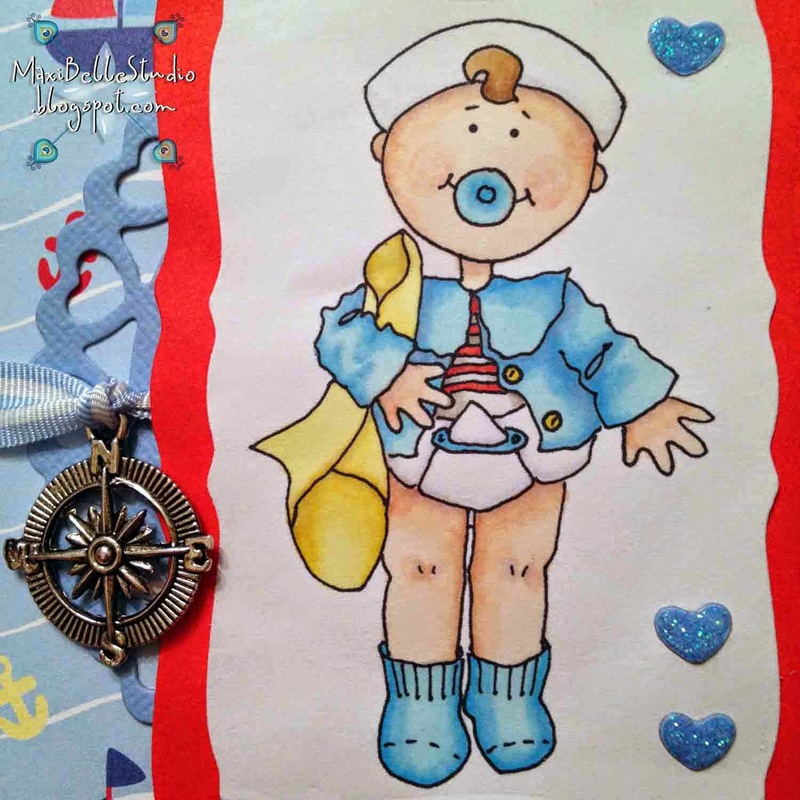 This cute tiny sailor image is from Dearie Dolls and I coloured him in with Copics to match my papers. I love the Spellbinders Curved Rectangles dies as they are perfect for many of the digital images available today. I layered him over the Spellbinders Heart Circles to add a little more detail to the card. I even used a couple of the heart off cuts too! To finish it off I added a matching ribbon, a cute nautical charm and the ever important splash of glitter! And there you have a sweet and simple precious keepsake card. If you haven't already checked out our BRAND NEW CHALLENGE BLOG then please pop over and check it out now as it opened yesterday! So come over and join in the fun! Thanks for stopping by and see you next week for more inspiration with Dies R Us. This is such a cute card! I love the charm and the addition of heart buttons just picks up the hearts on the doily die. I'm sure this was a huge hit! Your cards are so cute and lots of detail! And you always have paper to match your theme! Ooops ... a missed birthday! Spring is Bursting Out Everywhere! Wishing you a SUPER day!